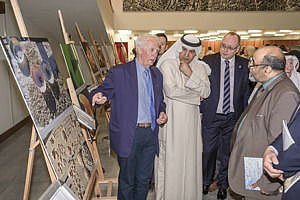 The event was co-organized by the National Council for Culture Arts and Letters of the State of Kuwait, Polish Embassy in Kuwait and the Polish Centre of Mediterranean Archaeology, University of Warsaw. 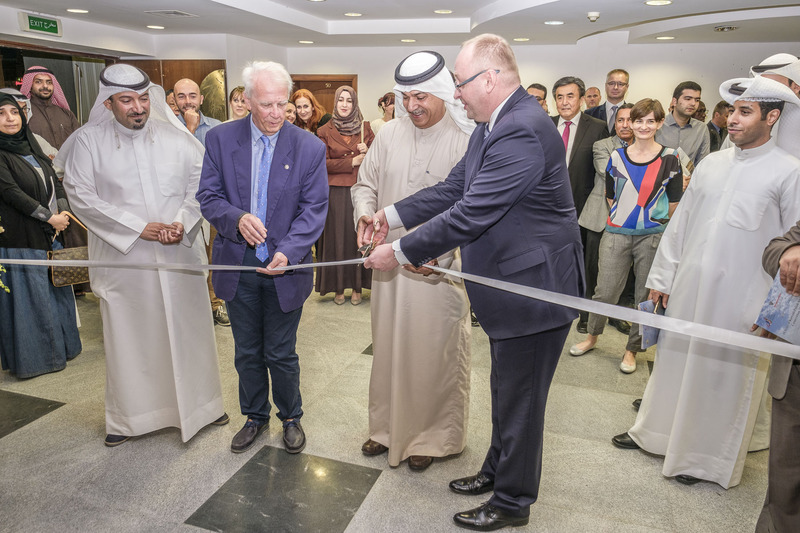 During the opening of the exhibition Prof. Piotr Bieliński, the head of Polish excavations in Kuwait and H.E. 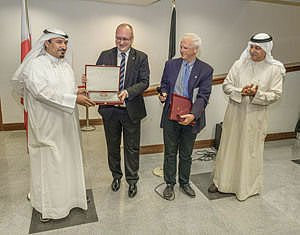 Ali H. Youha, Secretary-General of the Kuwaiti National Council for Culture, Arts and Letters were awarded the Bene Merito distinction by the Polish Minister of Foreign Affairs. A certificate of appreciation was awarded also to dr. Sultan al-Duwaish, the director of the Department of Antiquities and Museums and the co-director of the Kuwaiti–Polish Archaeological Mission. 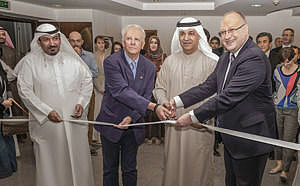 The Kuwaiti–Polish Archaeological Mission was initiated in 2006, after meetings by representatives of the National Council of Culture Arts and Letters of the State of Kuwait and the Polish Centre of Mediterranean Archaeology, University of Warsaw. It was the first Polish excavation project in the Arabian Peninsula. The Polish leg of the project is headed by Prof. Piotr Bieliński from the University of Warsaw. The mission started work in Northern Kuwait in 2007, beginning with excavations of tumuli graves (2007–08), then expanding into several sub-projects, including the excavation of desert wells (2008–12), a survey of burials and other structures in the Al-Subiyah region (2009–12), the excavation of the Bahra 1 settlement (since 2009). Apart from the investigations in Northern Kuwait, the mission has been invited to work on the Failaka Island, where more sub-projects were initiated: excavations of a part of the Qusur site (2011–13), a survey along parts of the island’s shoreline and excavations in Kharaib el-Desht, combined with an underwater survey.